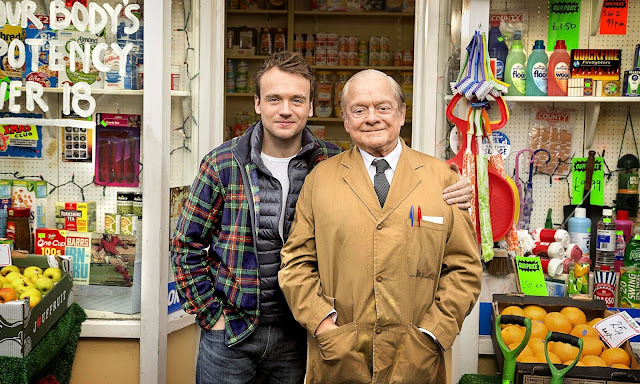 Arkwright’s will open its doors once again as the BBC One comedy Still Open All Hours returns for a new series, starting with a Christmas special as filming begins on location in Doncaster this week. The new series begins with a festive episode where Granville (Sir David Jason) bags himself a bargain Christmas tree, which gives him more problems than he wanted. Eric (Johnny Vegas) and Cyril (Kulvinder Ghir) embark on a new fitness regime and, as the holidays approach, Granville and Leroy (James Baxter) try to entice Madge (Brigit Forsyth) to their festive party.